Half a year to go–I can’t wait! Will Oga’s cantina be the same one that Vader/Anakin, Thrawn, & Padme visited in Thrawn: Alliances? Will we be able to visit locations in Batuu that were described in the novel? YAAAAAY! Very excited about the alcohol, but more excited to see Rex again! Stopped going on Star Tours after the remodel. Miss the original very much. Comets! Comets!! Too bad there serving alcohol in Walt’s ORIGINAL Magic Kingdom. Disney, please reconsider and don’t forget the founder’s beliefs. Will we be able to reserve a table at Oga’s? My family is heading to Galaxy’s Wdge for our 20th anniversary next summer. …Also, I agree with what others have said, I really hope that RX-24 is voiced by Paul Reubens! Thanks for the update Scott! Hello, Im an avid Star Wars fan, and I have a few questions after reading this article. the reason for these questions is the new Timothy Zahn novel, Thrawn: Alliances, which shows you a past and present look of Black Spire Outpost on Batuu. Why is it called Oga’s when Nodlia is the Bartender during the Age of the Empire? Will there be a decent population of Darshi about Black Spire? The setting during the Empire will be after Thrawn and Vader’s visit since there were no Imerpials there before right? Will the Grysk be present or mentioned by other “inhabitants”? How much will Thrawn: Alliances impact Black Spire Outpost since the novel has a detailed past/present visual of the place? I ask these as both a Star Wars and Disney fan looking forward to the amount of detail and effort put into this world. Can not wait for this. I’m gonna have to book an extra day just to hang out at Oga’s! What is the best route one would take to get a job at this bar? Can’t wait! 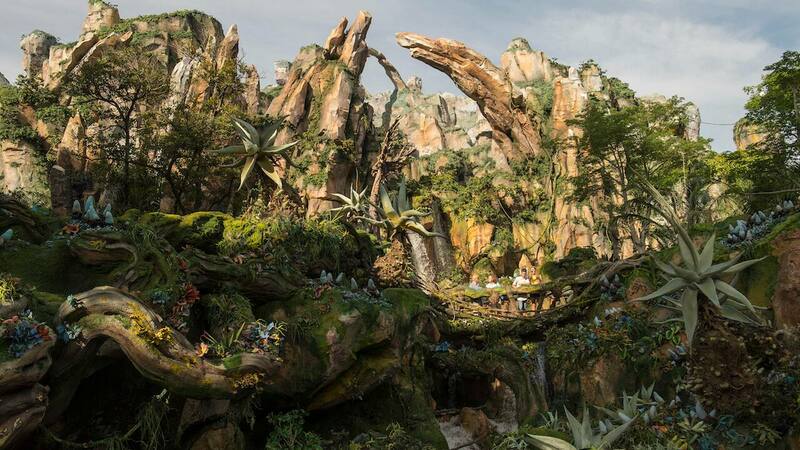 All of Galaxy’s Edge is going to be amazing. is Paul Reubens returning as the voice of RX-24??? Because he needs to! Is it just me or does “libations for adults” mean they are serving alcohol here? We are developing a specialty cocktail (non-alcohol- and alcohol-based) menu that will include creatively themed custom cocktails, and proprietary beer and wine options. Stay tuned for more details! This’ll be amazing! We fear that accessibility to these attractions may be near impossible in the foreseeable future. Can’t wait! Will this be a QS or TS restaurant and will mobile ordering be an option?